The beloved actress doesn’t consider herself an “activist,” but she has devoted her fame and fortune to the health and welfare of animals. 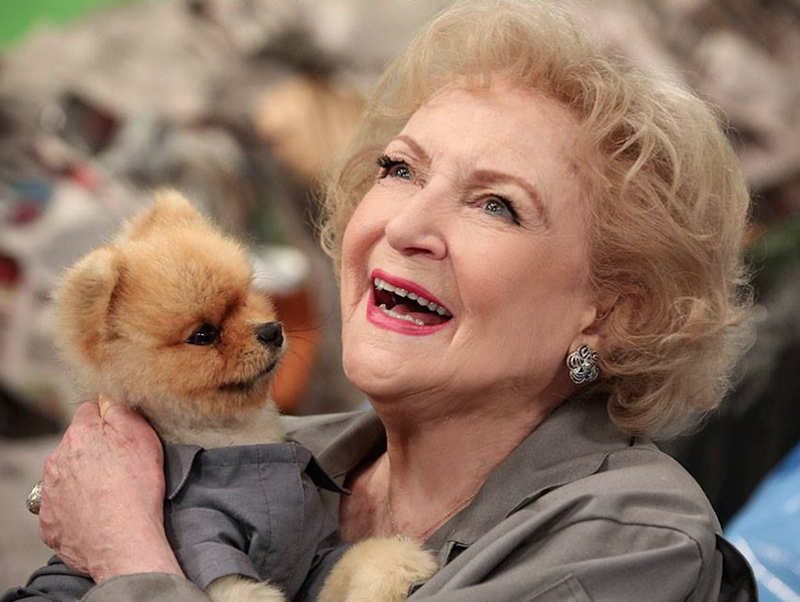 Betty White has delighted viewers over the years with such characters as the hilariously naive Rose on The Golden Girls and the irascible Elka on Hot in Cleveland. White has been a trustee for the Greater Los Angeles Zoo Association for more than 40 years. She has been involved with the Morris Animal Foundation as a trustee, canine division vice president, president of the board of trustees and spokeswoman. 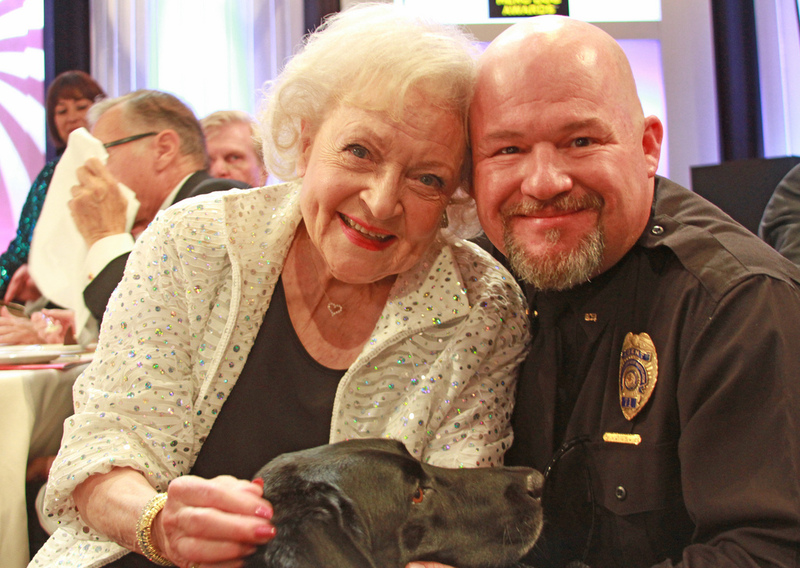 In 2010, she even set up the Betty White Wildlife Rapid Response Fund through the foundation, matching donations up to $25,000 so that researchers and veterinarians can deal more effectively with natural disasters and diseases. She also received the American Humane Association’s National Humanitarian Medal and Legacy Award in 2012. 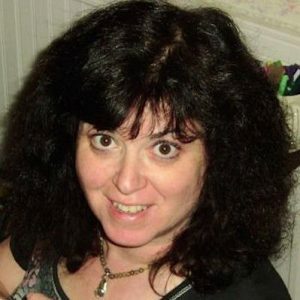 Robin Ganzert, the organization’s president and CEO, called her “a tireless and devoted animal advocate” — someone who not only reflected their “core values of compassion, caring and hope” but radiated them. Over the years, many actors and actresses have used their celebrity to help animals. Richard Basehart (Voyage to the Bottom of the Sea) started Actors and Others for Animals after seeing a small dog thrown out of a moving car on a Los Angeles freeway. Tippi Hedren (The Birds, Marnie) founded Shambala, a big-cat refuge in Acton, California, in 1981. White has been in the forefront of all this. In addition to her work with various animal welfare groups, she has written a number of books that reflect her lifelong love affair with animals. In her series Pet Set (1971), she wrote and produced episodes that revolved around celebrities and their pets. “Golden Girl” Rose was frequently seen caring for animals. And in a recent Hot in Cleveland episode, Elka gets caught shooting paintballs at women wearing fur coats. White has used everything at her disposal to help the animals she loves. Obviously, most of us don’t have her fame and money. But we can still find ways of making a difference. Fundraising, fostering, volunteering and doing trap-neuter-release are just a few things that come to mind. White’s parents were “tremendous animal lovers,” and they passed that on to her. Interestingly enough, Betty White doesn’t consider herself an activist. “I’m not into animal rights,” she said in a 2009 interview. Health and welfare certainly sound like “true needs” to me. If those needs aren’t being met, then nothing else really matters. I don’t know of any animal advocates who haven’t worked from the gut. As Henry Bergh, founder of the ASPCA has pointed out, animal welfare is not about politics. “This is a matter purely of conscience,” he says. Betty White gets that. And she gets things done.